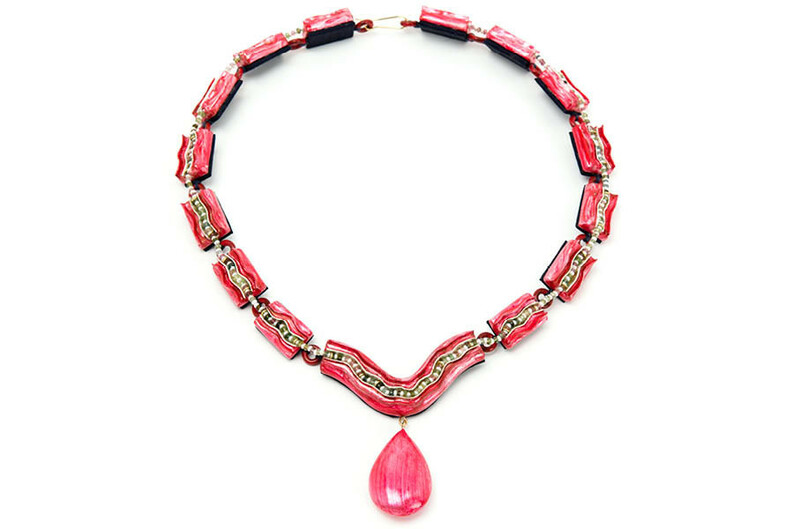 Unique piece of handmade jewellery by Gian Luca Bartellone: Necklace Synus, 2015. Materials: papier-mâché, gold 18kt, iron, silk, tourmaline, paper, pearls, silver leaf. Sinuous shapes and arbitrary, elegant asymmetries. Like reed in a warm summer breeze, colours and leaf silver chase one another on a lake’s rippled surface.